You'll be £19.99 closer to your next £10.00 credit when you purchase Voices in Flight: The Dambuster Squadron. What's this? They were the Dambusters – the pilots and crew of the RAF's elite 617 Squadron. They flew the most difficult missions. They breached the Dams! They sank the Tirpitz! They were the only squadron to drop the immense Grand Slam bombs and with them they destroyed bridges, viaducts and even Hitler's impregnable U-boat pens. In this unique book, introduced by Dams raid survivor, George 'Johnny' Johnson, authors Colin Higgs and Bruce Vigar present no less than nine exclusive interviews with men who flew and fought in 617 Squadron during the Second World War. These men took part in virtually every operation the Squadron flew and went on some of the most daring and dangerous missions of the war. The result is one of the most vivid and unforgettable accounts of the RAF at war ever written. The book features a series of firsthand accounts, relayed from transcripts of original conversations between the authors and the various interviewed veterans. A unique book... one of the most vivid and unforgettable accounts of the RAF at war ever written. A remarkable collection of wartime images, but it's the air crew accounts that lift this book above all the other Dambuster titles out there. 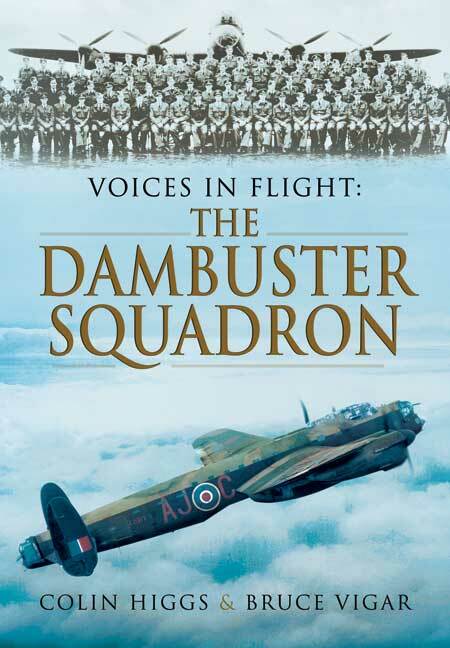 The authors interviewed as wide a cross-section of veterans of 617 Squadron, the Dambusters, as they could. Their accounts woven together with the authors' supplementary narrative. A unique book. one of the most vivid and unforgettable accounts of the RAF at war ever written. A remarkable collection of wartime images appear in print for the first time. It's the aircrew accounts that lift this book above all the other Dambuster titles out there. It's a collection of very brave men undertaking a remarkable wartime mission. Colin Higgs and Bruce Vigar are Aviation historians with extensive interview experience. Together they have access to a great archive of images, a selection of which have been used here to great effect.